A few months ago, we got a good look at fashion designer Ralph Lauren’s extraordinary garage/museum and all of the tear-jerking classics housed under its roof. Like most avid collectors that have the money to spend for these classics, Ralph Lauren’s line-up of cars includes some of the worlds most luscious and most expensive pieces of metal the automotive world has ever seen. For the rest of us, the closest we can get to seeing these cars up close is if a collector was kind enough to have his prized pieces shown at an exhibit so we regular Joe’s can salivate over them. This is where Ralph Lauren comes in. The world famous fashion designer is lending some of his most prized vehicles to the Musée des Arts Décoratifs in Paris for a special exhibit called “The Art of the Automobile: Masterpieces from the Ralph Lauren Collection”. The exhibit, which will run for three months beginning on April 28th to August 28th, 2011, will feature some of the world’s rarest and most valuable vehicles, including a 1960 Ferrari 250 GT SWB Berlinetta Scaglietti, a 1931 Alfa Romeo Monza 8C 2300, a 1964 Ferrari 250 LM, a 1962 Ferrari 250 GTO, and a 1938 Bugatti 57 SC Atlantic Coupe. Just to give you an idea on how amazing Mr. Polo’s car collection is, those last two cars we mentioned above – the 250 GTO and the 57 SC Atlantic – are both worth an estimated $30-40 million. Each. Introduced back in 1959 at the Paris Salon, the Ferrari 250 GT SWB Berlinetta - or "passo corto" - Scaglietti was designed by noted Italian coachbuilder Pininfarina. Built on a 2,400 mm chassis, the 250 GT Berlinetta passo corto became the successor of the Ferrari 250 GT Tour de France, and was noted for being a trailblazer when it comes to the Prancing Horse’s rich and esteemed history. 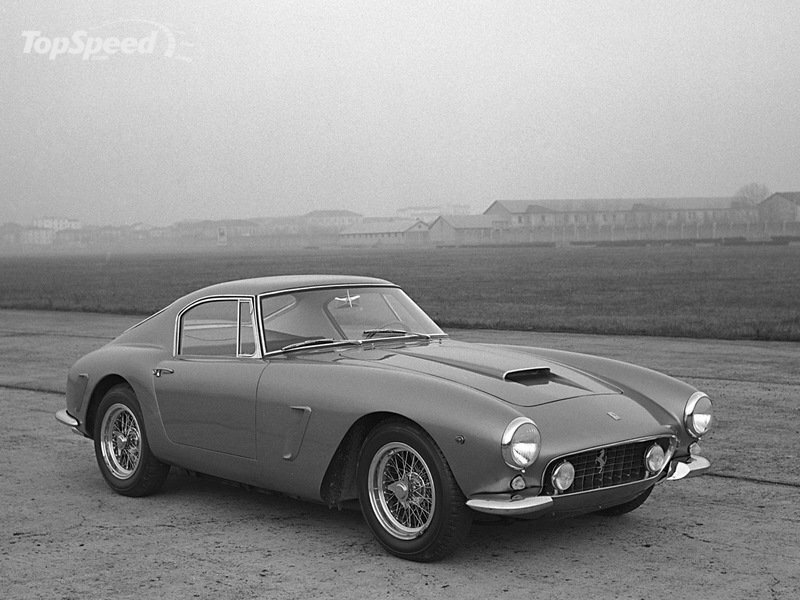 This particular model was the very first Ferrari production road car to be fitted with disc brakes as standard and, unlike the preceding 250 GT Berlinetta series, also became the first Ferrari to be made available in either left- or right-hand drive. As recently as two years ago, a Ferrari 250 GT Berlinetta passo corto was recently auction at the RM Auctions for $1.45 million. 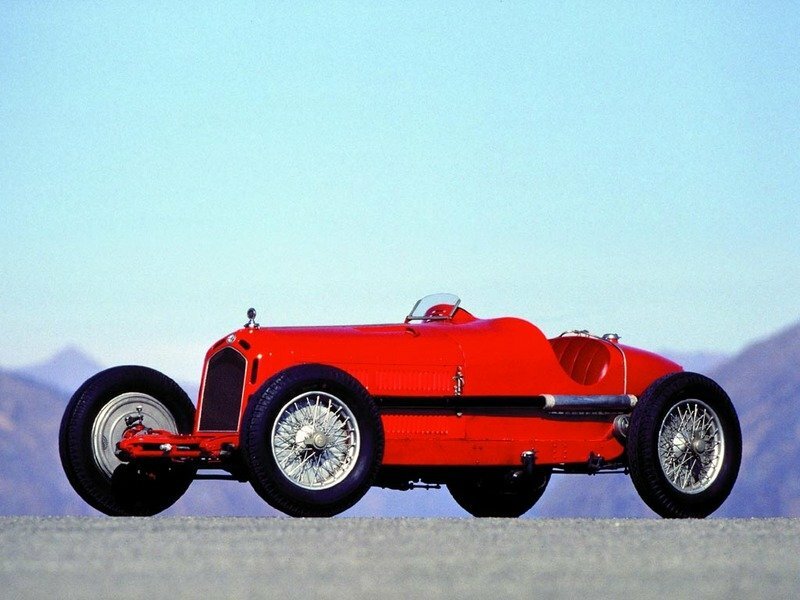 The 1931 Alfa Romeo Monza 8C 2300 won the Le Mans championship back in 1931 and 1934, establishing itself as one of the most successful racing cars Alfa Romeo has ever produced. It was so successful, in fact, that a version of this car also took first and second place at the 1931 Italian Grand Prix in Monza, thereby earning the ’Monza’ nickname that it has been associated with since then. All told, the car won over 50 races in its time, including another 1-2 finish at the Monaco Grand Prix, while being raced by some of the best race car drivers of that era, including Tazio Giorgio Nuvolari, Baconin Borzacchini, and Rudolf Caracciola. 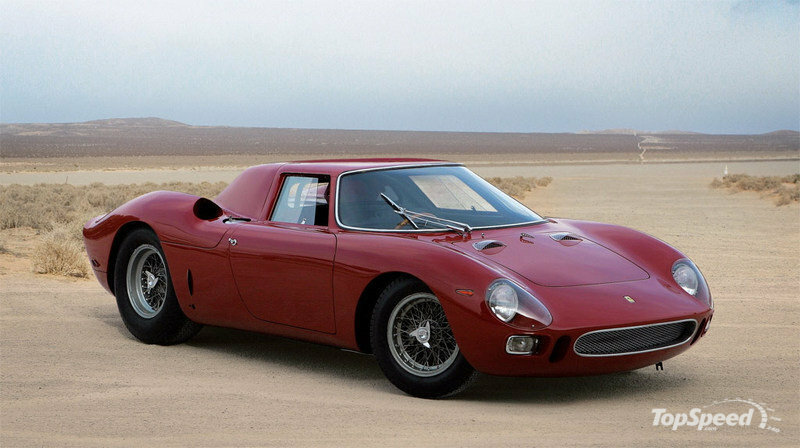 Another designed classic by Pininfarina with coachwork by Scaglietti, the 1964 Ferrari 250 LM was limited to only 32 units. Just like its contemporaries, this particular Ferrari is noted for its extensive racing history, including a thrilling victory at the 1965 Austrian Grand Prix with driver Jochen Rindt behind its wheel. Today, the car is expected to fetch somewhere north of seven digits if and when one of the 32 models are auctioned off. Widely regarded as the greatest sports car of all time, the 1962 Ferrari 250 GTO became the standard-bearer to which all other Ferrari models are compared to. The Italian automaker only built 39 models of this bad boy - 33 of the "normal" cars, three 330 LMB models, and three "Type 64" cars with revised bodywork - and has since grown in stature as not only the greatest sports car of all time, but also the most expensive one at that. An auction of the V12 302 horsepower machine held last May was sold by RM Auctions for an staggering $25 million. 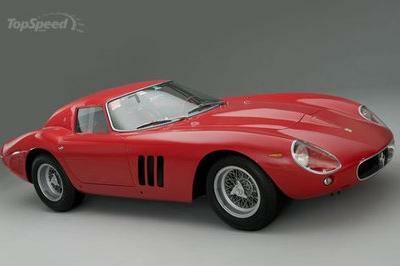 If you thought the $25 million price tag for the 1962 Ferrari 250 GTO was jaw-dropping, there’s one more car that actually sold more than the iconic Ferrari. The Bugatti 57 SC Atlantic Coupe. Designed and built by Jean Bugatti with a goal of creating the ultimate high-speed grand touring car, the 57 SC Atlantic Coupe ended up being so much more than that. Only four of the this cars were made based on the "Aérolithe" concept car of 1935, which featured flowing coupe lines and a pronounced dorsal seam creating using Elektron and Duralumin for the body panels. Of the four models that were built, only two are still in existence today; the Williamson Bugatti which won the 2003 Pebble Beach Concours d’Elegance and one that is in Ralph Lauren’s private collection. So how much exactly did this model sell at an auction last year? Try $30-40 million. I didn’t know that Ralph Lauren has a collection like this. All his collections were superb and well-preserved. 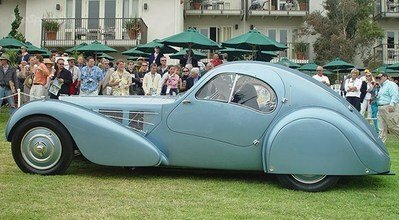 What I like most was the Bugatti Atlantic Coupe. No wonder these cars belongs to a top designer like Ralph Lauren. They are amazing and really adorable. I think those cars cost double the original price because the owner is Ralph Lauren. The style of the car is great and unique. But the question is if this car has the great performance. Yeah. Same thing here. It is an awesome collection. You can see here the oldest versions of cars all over the world. You will notice that only few car manufacturer is on the car industry on that time. Until now, they are creating and upgrading their car to make it a powerful one. A great master with a great taste. Just like his designing, his collection too is priceless. A worth investment on such classic models. I wish I could attend the gallery. Ralph Lauren also has his own style of collecting these masterpieces. A Truly one of a kind and rare items. Am very glad that He lend his cars for the meantime so that the public can witness how gorgeous these precious were so pricey and gorgeous! I wonder how much Ralph Lauren’s collection is really worth. He has probably some of the hardest to find cars nowadays, such as that 1938 Atlantic Coupe. Well, it’s definitely nice of Ralph Lauern to lend some of his collection pieces to the exhibit . There are actually plenty of interesting ones here that a lot of people would want to see. Well, this is definitely going to be a must see opportunity. Ralph Lauren’s collection has some of the most interesting pieces that I have always wanted to see, such as rare fifties era cars.